Juan Martinez called Dr. Janeen DeMarte to the stand to rebut the testimony of both Dr. Richard Samuels and Alyce LaViolette. 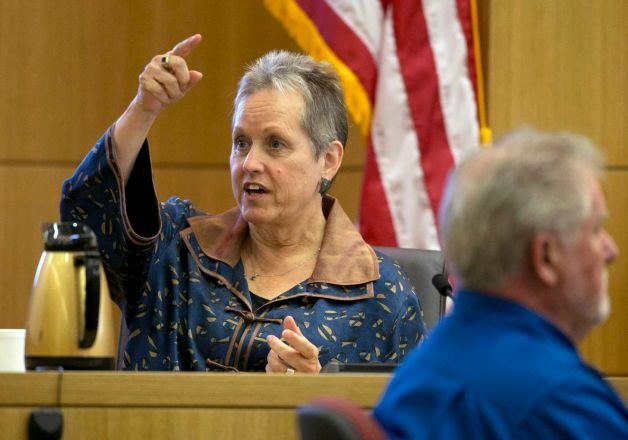 In a relatively quick direct examination, Juan Martinez went over Dr. DeMarte’s qualifications as a psychologist as well as herexperience with domestic violence. Dr. DeMarte studied at Michigan State University, where she graduated in 2009. She also fulfilled an APA approved doctoral residency at Arizona State Hospital and is a licensed clinical psychologist. She currently operates a private practice in Phoenix, AZ. Dr. DeMarte testimony hit on several areas including why she does not believe that Arias suffers from PTSD, giving direct examples that flew in the face of a true diagnosis, such as Arias attending Alexander’s memorial service, hanging out with mutual friends, sending his grandmother irises, and other actions that would require Arias to think of Alexander and the “trauma” associated with the killing. She also spoke of Arias’s immaturity, referencing her mug shot where she “smiled as though it were a high school photo” versus a booking photo of someone being charged with murder. Calling this behavior strange, Dr. DeMarte stated that Arias’s parents described her as “happy as hell” after visiting her. This behavior made Dr. DeMarte wonder if there was an intellectual deficit present, leading to Arias’s IQ test. (Arias scored 119.) 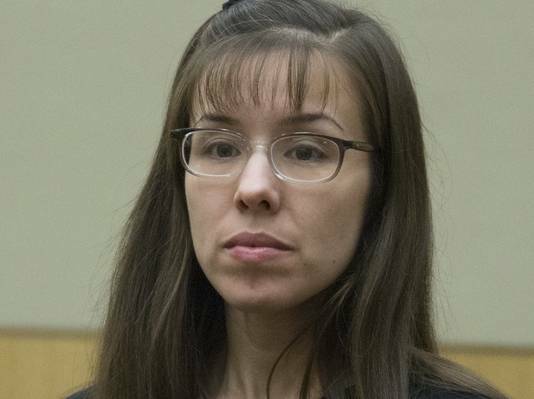 Ultimately, based upon test results and other behaviors present, Dr. DeMarte diagnosed Jodi Arias with Borderline Personality Disorder. Martinez: Is the sky blue? LaViolette: ::leans forward and squints:: I am not sure what you mean by that. Martinez: It’s a simple “yes” or “no” question. LaViolette: ::furrows eyebrows:: I can’t answer that question “yes” or “no” Mr. Martinez. Martinez: Well, when you look up at the sky, it appears as if it is blue, correct? LaViolette: ::slow smile:: Well, I guess if you want me to say that the sky is blue, the sky is blue. Martinez: I want to know what you think about the sky’s hue. LaViolette: ::exasperated:: I don’t really know how you want me to answer this question, Mr. Martinez. I like to look at the big picture. Why is the sky blue? What causes it to appear blue to the naked eye? Is it really blue, because it looks almost black when the sun goes down, doesn’t it? Sometimes there are stars in the sky when it’s dark, but are they always there? What about on cloudy nights? Why can’t we see them when the sun is up? Then there is that whole thing about the reflection of light and the prism of colors and how the molecules break down and all of that hooha. I mean, I am not an expert on astronomy, Mr. Martinez, and there are many other factors that I would need to take into consideration before I can give you an answer. LaViolette: You need a timeout. The above is only a slight exaggeration. Do you remember any times when you had to confront an aggressive, angry black kid with an attitude? Let’s ignore the ignorance of this question, and instead ask, Why did Zimmerman have to confront Trayvon? He is not a cop, a sheriff, or a deputy. He was not wearing an uniform to announce or display that he was in a position of authority (because, AGAIN, he is not in one). He was just an average looking CIVILIAN, stalking a young man who was not familiar with the inhabitants of the neighborhood he was visiting. What I find most dumbfounding about the police investigation is that they seem to have accepted Zimmerman’s word from the start. They’ve said that the evidence that they’ve gathered points to self defense, the strongest “evidence” seems to come from Zimmerman. With the reports of witnesses being LED to provide statements that are consistent with Zimmerman’s assertion of self defense, one would have to seriously question their claim. Here is what we have to consider when it comes to SPD’s dynamics with the shooter; Zimmerman is very well known to them having made dozens of calls, over the last year, while in his self-appointed position of neighborhood watch captain. It stands to reason that he has become relatively friendly with the cops that patrol that neighborhood. It also stands to reason that his relationship with real law enforcement officers buoyed him in his position of pseudo cop. Something told Zimmerman that he had the same authority as an actual cop. You know, cops who have actually gone through training and have actually earned the right to approach, question and detain suspects? The kicker here is that it seems as if law enforcement has given him that cover. Zimmerman apologists have suggested that Trayvon should have not run away from Zimmerman, because it makes him look guilty, and that he should not have engaged in a physical altercation with his pursuer. After all, if he would have just listened to the strange man stalking him through the rain and darkness, maybe he would still be here. Let’s just pretend that is even remotely rational for a moment. Even if the case is that George Zimmerman ran after Trayvon and didn’t lay his hands on him first, is it really OK to escalate from a fistfight to gunfire? Do we want to live in a country where that is a rational next step? Law enforcement officials cite bruises “consistent with self defense” as their proof that Zimmerman, indeed, acted in self-defense. But, where is the proof that Zimmerman could have reasonably assumed that he was in danger of losing his life? If anything, he may have been in danger of losing a fight, but again is that really grounds to shoot someone? We all know, at this point, that Martin did not have a gun, a knife, a sword, a crossbow, a catapult, an IED, or any other deadly weapon. Did Zimmerman think he was going to kill him with his bare hands? Does law enforcement? Wow. Can you be any more broad? And is LE saying that Zimmerman was at risk of “great bodily harm” when Martin has few signs of a struggle present on his body? It is no wonder that this law met such strong opposition from prosecutors and law enforcement officials when it was introduced into legislation in 2005. Yup, I think we can safely call this law a license to kill and/or a get out of jail free card. For me, this all circles back to the first question I posed in this post: What authority did George Zimmerman have to approach Trayvon Martin? What means did Trayvon Martin have to defend himself from George Zimmerman and why is there any expectation that he should not have been able to? There are several petitions circling the internet to bring George Zimmerman to justice, but even if 99.9% of the population of the United States sign that petition, I fear that it won’t make a difference. If it is found that George Zimmerman acted in accordance to the laws of Florida, as it is written, he will remain free. Stand Your Ground has thrown all, that should be, common sense into question. Therefore, it is a real possibility that the only true justice seen in this case will come in the form of repealing this Freedom to Kill and claim Self Defense law. Here is a link to sign a petition to repeal this law: Speak Out Against and Repeal All ‘Stand Your Ground’ Laws As of now, it only has 39 signatures, so we have a long way to go to get it well circulated. I will sign it and make it 40. I hope that you will do the same, and pass it along. Rest in peace, Trayvon Martin. May your death not be in vain.